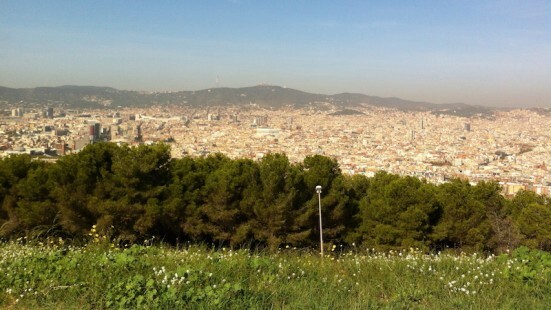 A blog about Barcelona. Read, discover and enjoy. It’s been more than 13 years since I landed at the airport of El Prat Barcelona and first started to enjoy Barcelona’s perfect days. Originally from Holland, I was living in Amsterdam at that time, when I decided to do an Erasmus in the Catalan capital. Barcelona was becoming more and more popular, but it had not reached the popularity it knows nowadays. Join others interested in Barcelona and be notified of new articles either by adding our RSS feed or by filling in your email address below. Check out the H2BCN Bookshop for lots of fantastic books about Barcelona and Catalonia. There's cook books, novels, collected short stories, historical fiction, and of course, books on the mighty Barça. There's a large cat. In the Raval. Moving to Barcelona (or Spain)? Homage to BCN is an English language website I started when I moved to Barcelona. I write about anything and everything that I come across that relates to this great city. I also get people I meet to write their Perfect Days to share what they love about the city. And accept guest posts on anything relating to Barcelona too. If you enjoy the site you can get updates via RSS or email. You can also follow H2BCN on Twitter.